Mark Armen: hey Enterprise Fish Co! 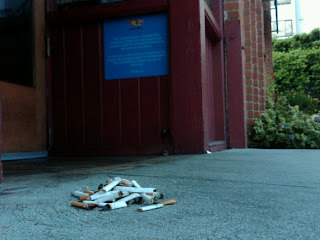 Hi Enterprise Fish Co – I found 52 butts in front of your Santa Monica seafood restaurant the other day! I know you are open to addressing this problem – so lets talk (again)!